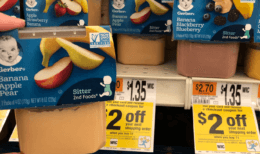 Through 2/28 Stop & Shop and Giant have an awesome Frozen Food Instant Savings Deal. The deal is Spend $15 Save $5 Instantly! While we don’t have many coupons for the items included in this sale, we can make some really really great deals! 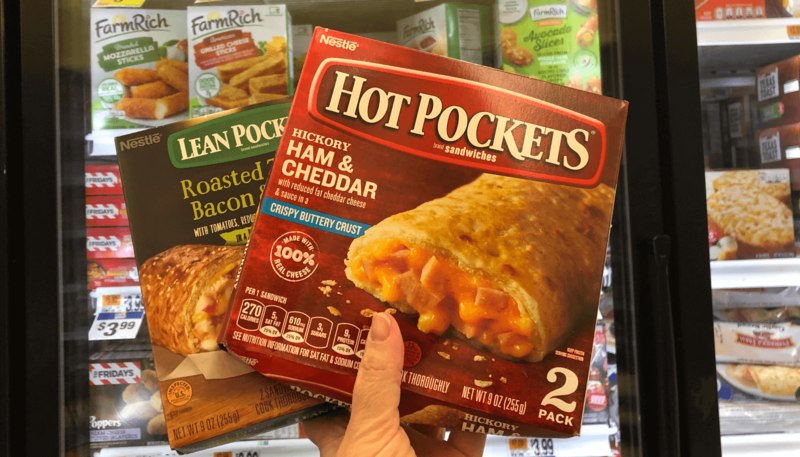 We can buy 8 Hot Pockets priced at $2.00 each, totaling $16.00 after instant savings we’ll pay just $11 for all 8 boxes, making them only $1.38 per box! I’m going to have one very happy 9 1/2 year old! Also included is Smuckers Uncrustables priced ta $3.00 each. 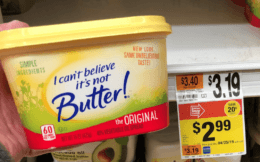 This is another really great deal because while we don’t get coupons for these items very often, the instant savings deal is going to bring the cost down to just $2.00 per box which is a really great price at Stop & Shop and Giant! 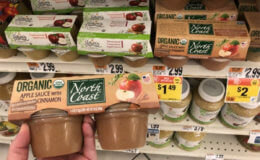 We also set you up with a deal on Dole Frozen Fruits priced at $3.50 each, and you can pair it with any of the $2.00 priced items like Hot Pockets or the Birds Eye Veggies, Giant Shoppers you also have Jimmy Dean Breakfast Bowls at that price. We have a $1/1 Dole Frozen Product, printable coupon available to stack with this deal, bringing our final cost down to just $1.40 per item! Awesome! *These are just a few deal ideas we came up with to get you started. Please share your deals in the comments below! Target Shoppers – $0.93 Beano Gas Relief Tablets!